What a day for us! After all the effort and the strain, our debut album is out! It was more than an accomplishment; it was a dream that came true for every single one of us. We are pleased to announce that Walk Through the Line released worldwide via Sliptrick Records. 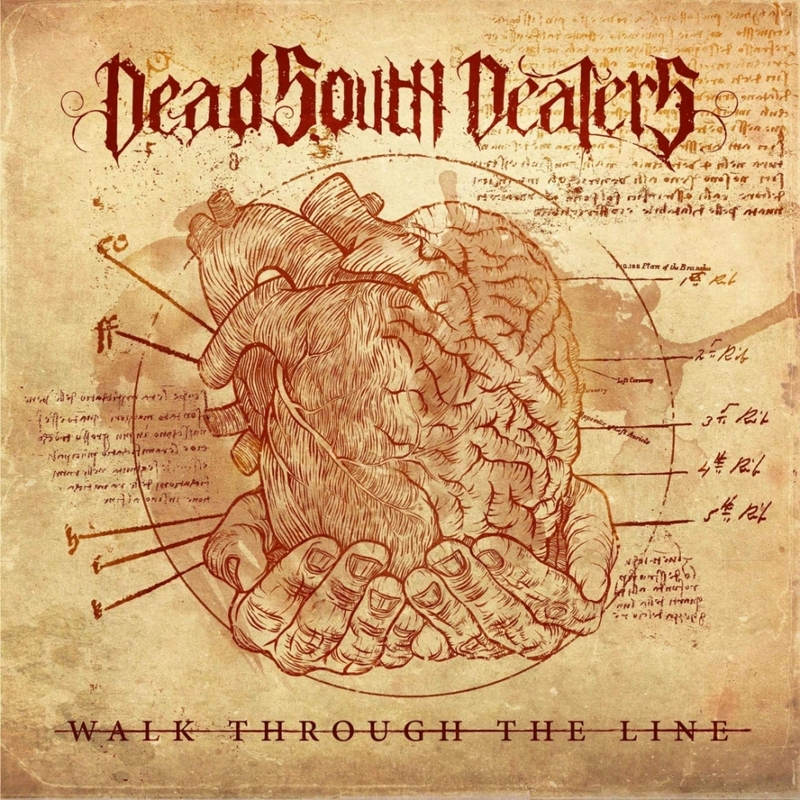 Influenced by rock godfathers Led Zeppelin and Black Sabbath, through to newer bands such as Clutch and Alter Bridge, Greek band Dead South Dealers have been honing their trade ready for the release of their first full-length album, Walk Through the Line on Sliptrick Records. The album consists of 9 meaty slabs of classic modern hard rock, full of seismic riffs, pulsating beats and raw, emotional vocals. Greece is not traditionally known for producing these kind of rock bands but Walk Through The Line in no way sounds inferior to something you might hear stateside. Dead South Dealers execute their finely crafted tunes with conviction and a great deal of nous and are rightly proud of what they have achieved. You’ll be hearing a lot more from these guys in the future and this is a great place to start. Walk Through The Line was recorded at Soundflakes Studios in Athens, Greece. The production, recording and mixing was done by John Mcris (4Bitten, Anorimoi, Dimlight) and the mastering by Alan Douches (Motorhead, Clutch, Mastodon,) of West West Side Music Studios in NY, USA. Stay tuned while walking through the line!